The entire ‘basement’ underlying the Ingleborough massif is amazingly complex. 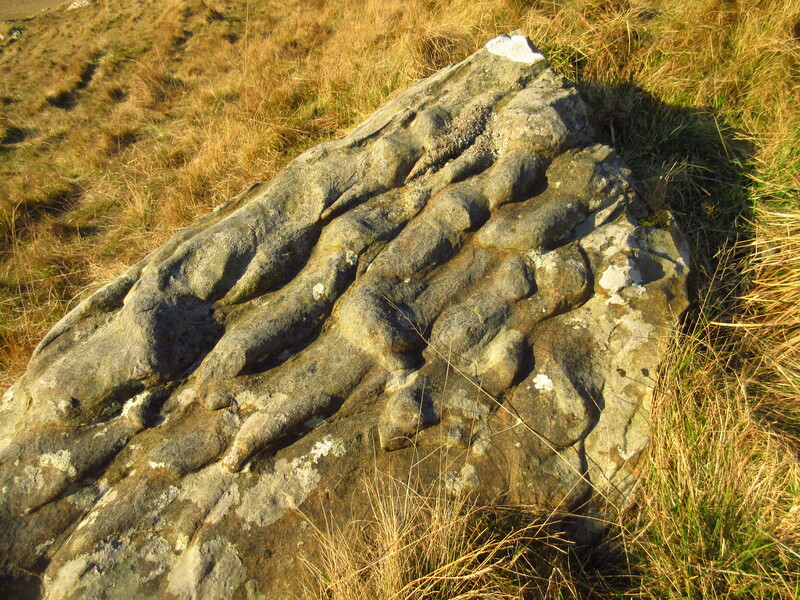 Most of it, of course, is buried under younger rocks, but the slices available for inspection – known as ‘inliers’ – have been uncovered by erosion, glaciation and the proximity to the Craven Faults on the southern edge of the Askrigg Block. The well-known inliers occur in Chapel-le-Dale, Crummackdale and along Ribblesdale close to Helwith Bridge. The constantly changing sequence of rocks can seem baffling at first, but they can be understood once their origins and subsequent folding are considered in detail. Turbidity currents in the Iapetus Ocean over 480 million years ago caused the ‘Ingletonian’ rocks of the Ordovician to be laid down. Sediments on the ocean floor moved in a series of submarine landslides, with the larger particles settling to form coarse sandstones and the finer particles forming mudstones. 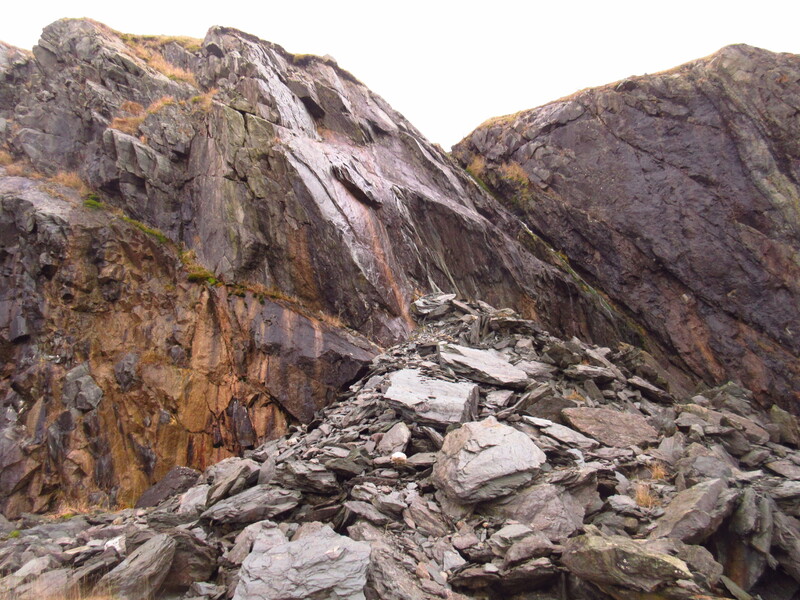 Tectonic plate convergence in the late Ordovician effectively folded and crumpled the rocks to such an extent that the varying beds were almost parallel to each other. 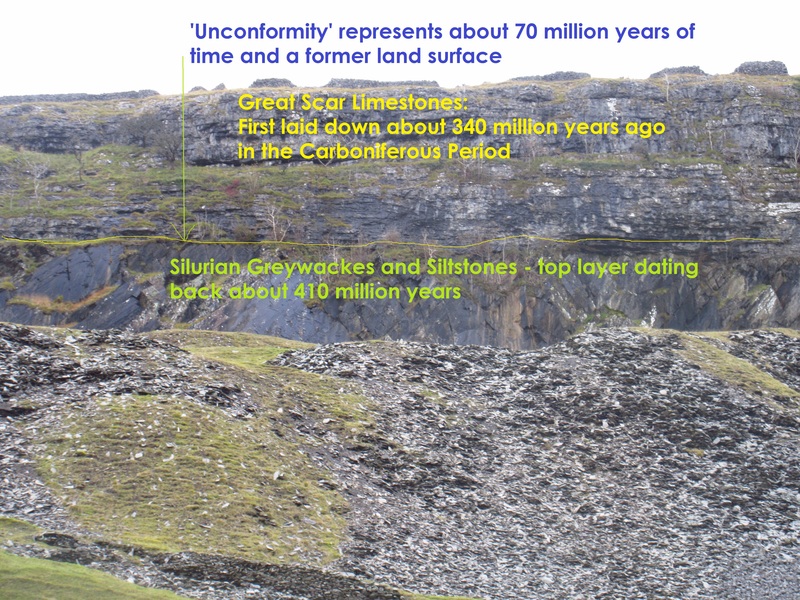 The crests of the folds – or ‘anticlines’, with their corresponding down-folded troughs (or ‘synclines’) are classic features of the Ingleborough basement. Not only did the folding cause this ‘concertina’ effect, but the pressure of the folding created heat which mildly metamorphosed the sandstones into smoother, harder ‘greywackes’ while the mudstones became distinctive, if poor quality, slates. 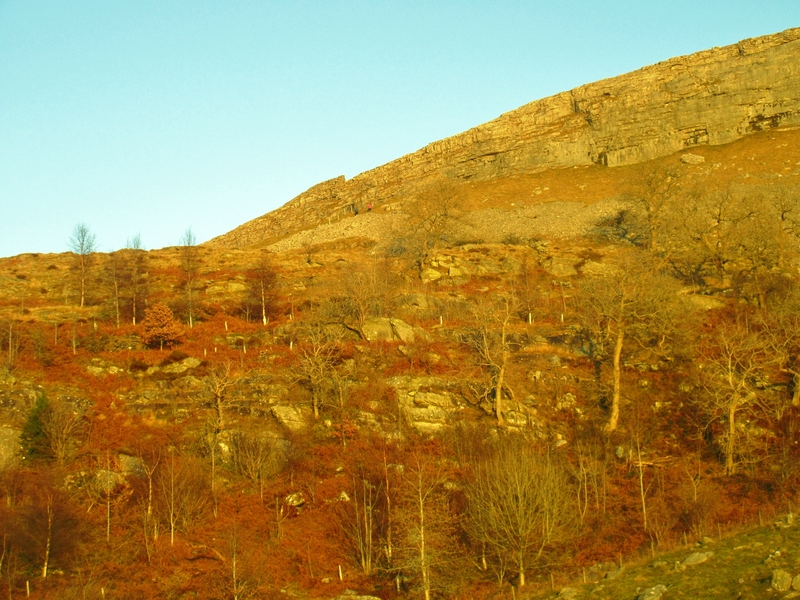 These can be seen to full effect in the old Ingleton ‘granite’ quarry, where glistening pink feldspar in the rock led early quarrymen to misname it. Later, sandstones and siltstones were added to this submarine landscape in the Silurian Period, and then they too were folded by earth movements. 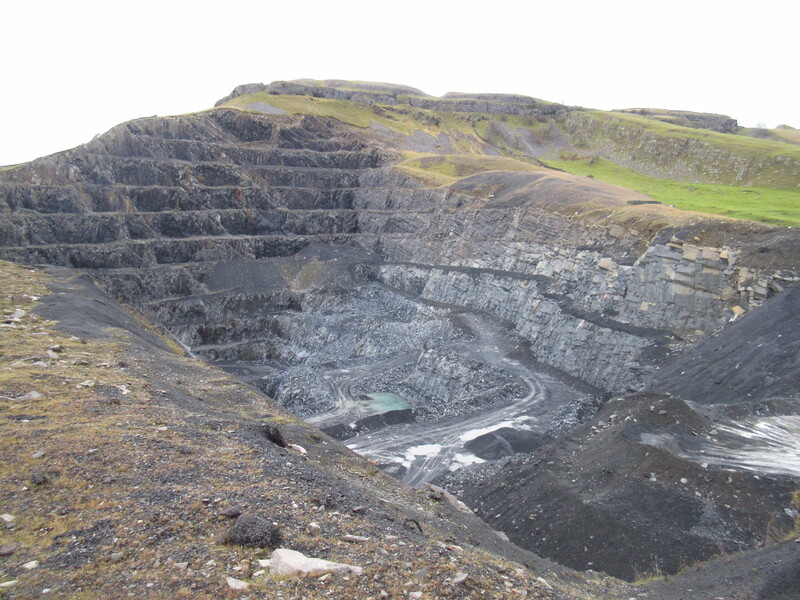 Each of the Silurian layers is locally named after an area in which it is prominent: the Austwick Formation consisting of distinctive hard greywackes – while the classic Horton Formation, well seen at Dry Rigg Quarry, contains a paler, smooth rock commonly worked as ‘flagstone’. 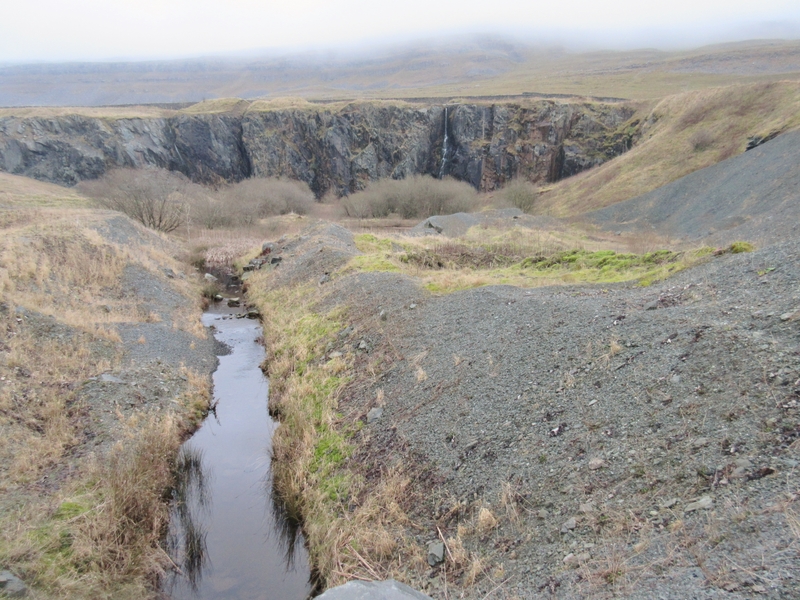 Sandwiched between, and visible at Arcow Wood Quarry, is the thinner siltstone of the Arcow Formation. A few hours in the field will make these seemingly baffling names come to life. Because of the intricate folding and later erosion, the younger Horton Formation can lie at a lower level than the older Austwick, making the basement extremely complex. The massive undulations on the sea floor can be best appreciated by considering that the Ingleborough basement is exposed at the surface in Chapel-le-Dale, Ribblesdale and Crummackdale – but a few miles north or south it can be buried from 6000 – 16, 000 feet below the land surface: incredible stuff! The chaotic submarine topography at the start of the Carboniferous meant that the beds of Great Scar Limestone were laid down with considerable differences in height, and these can be compared easily when taking a walk in Crummackdale. The horizontal beds of Great Scar Limestone on the east of the dale, at Studrigg Scar, rest on steeply dipping Silurian beds: a classic example of a geological unconformity. Here the missing Devonian Period indicates there was no deposition for millions of years, with the almost perfectly level limestone beds indicating that they were largely free of disturbance once they were laid down. The Ingleborough basement may baffle at first – but it never fails to fascinate!